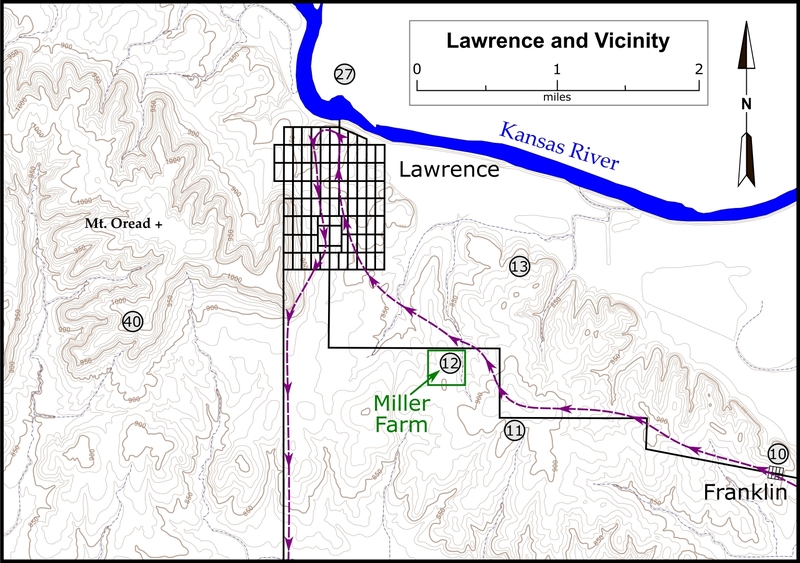 Quantrill and his men continued heading northwest toward Lawrence, passing through the pro-slavery town of Franklin, Missouri. 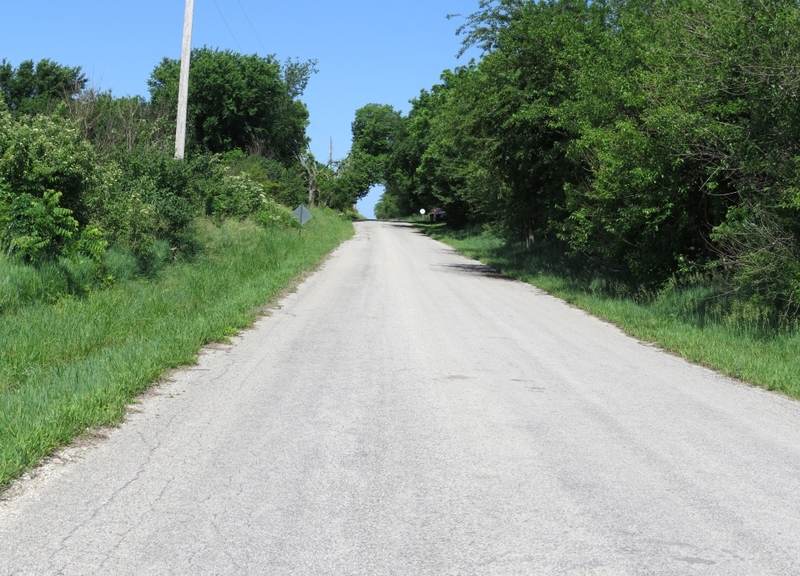 Looking northwest toward the location of Franklin, Kansas, from the intersection of E 1750 and N 1360 roads. 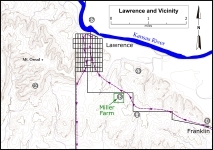 Map of Lawrence and vicinity showing location of the Franklin tour stop. Click on thumbnail to load high resolution version of the map.